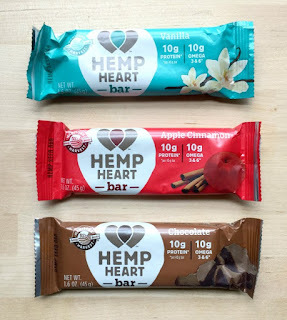 A little while ago I had the opportunity to try out two of the three flavours of Manitoba Harvest Hemp Heart Bars. I was excited to try them, I always take a protein bar with me to work on Sundays just because for some reason I never seem to get enough protein on this day, and considering it's the day after my big workout of the week it's kind of important that I do. 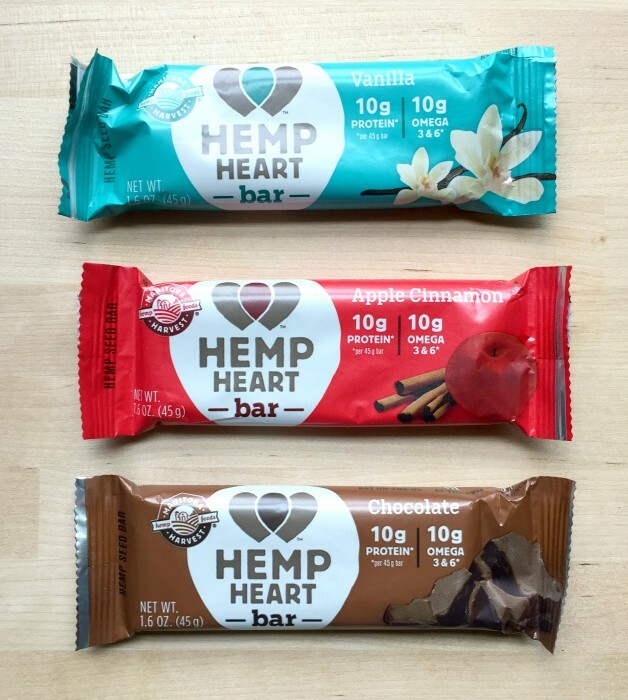 These bars have 10 grams of plant based protein and 10 grams of omegas. Hmmm... I mix hemp hearts into my Greek Yogurt at lunch. I didn't know they came as a bar. I think I may give it a try if I see these in store.